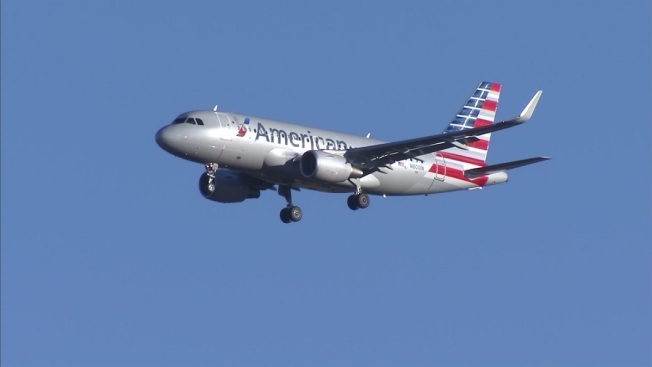 American and US Airways have a lot to be thankful for, on Wednesday morning in U.S. Bankruptcy Court, Judge Sean Lane approved a settlement with the Department of Justice paving the way for the merger. The judge's ruling means American Airlines can exit bankruptcy and close the merger Dec. 9. The judge said he wanted to officially settle this before the Thanksgiving holiday. The judge also shot down a lawsuit by a group of passengers and travel agents trying to block the merger. Attorneys claimed that combining airlines would reduce competition. The judge said they failed to prove how they'd be harmed by the merger. "Today's rulings by the Court are another important step in our path toward emerging from restructuring and closing our planned merger with US Airways. The new American will compete on a global scale with a network that benefits our people, our customers and the communities we serve. With the court’s rulings today, we now intend to close the merger on December 9," said American Airlines spokesman Mike Trevino. While this is the last legal obstacle, The Allied Pilots Association believes it will take the better part of two years to finish this merger to negotiate collective bargaining agreements and sort out workers' seniority. Employees believe they'll benefit from the merger and claim so will passengers with more hub options and international gateways. The judge agreed and announced his decision over the phone from federal court in New York Wednesday. "The court conquers, the many and substantial benefits that can be derived from the settlement, far outweigh the continued pursuit of the DOJ action and the risk and uncertainties associated there with," said Judge Sean Lane. "We're happy. We worked very hard to consummate this merger. We're looking at bringing new leadership for American Airlines. It's going to rebuild this airline and create a company we can all be proud of. It's good for our corporation. It's good for employees, and it's good for the community,” said Tom Hoban with the Allied Pilots Association. "There may be some losers and maybe some folks in the general public end up paying higher air fare for their travel ticket. That's always a risk," said Mark Ralston, Bankruptcy Attorney. A spokesperson for Southwest Airlines offered the company's congratulations today on the merger. The combined airline will be called "American Airlines Group." The judge's ruling Wednesday morning comes two days shy of the two-year anniversary of when AA filed for bankruptcy.